Willett House Veterinary Surgeons - Pre-operative instructions - Vets in Staines, Feltham, Addlestone & Hampton. Unless otherwise instructed these are rules for your pet when coming in for any procedure at the surgery. 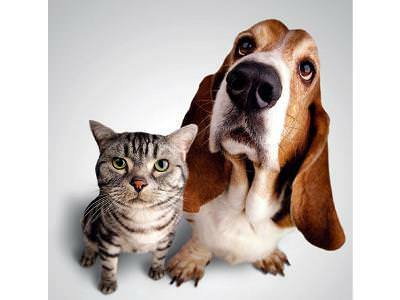 Do not feed your pet food or milk after 8pm the evening prior to admission. Water can be freely available overnight until first thing in the morning when you should take up the water bowl. Dogs should be taken for a brief controlled walk in the morning to pass motions and have a pee if they need to. Avoid scavenging and try to avoid them getting wet or dirty. Cats should be kept indoors overnight and have a litter tray. This is to ensure that they do not help themselves to food outside. Please bring you pet to the surgery at the appointed time. Announce yourself to the receptionist and you will be asked to take a seat in the waiting room. The admissions nurse will then call you in. If you have accidentally broken any of the above rules please telephone the surgery or tell the admissions nurse. If you have anything you want to discuss before admission then either telephone the receptionist before you come down for an appointment to be made with one of the vets or speak to the admissions nurse. If your pet is likely to require any regular medication or special diet whilst in the surgery, please bring these with you. Remember to always have your dog on a lead, or your cat (or ferret) in a secure cat carrier/basket. Food should not be withdrawn from these species prior to an anaesthetic. Rabbits and guinea pigs are herbivores and need to eat regularly to maintain a healthy gut. Smaller mammals have a high metabolic rate and rapidly suffer problems if food is withdrawn. Water should also be available at all times. Avoid your pet becoming chilled prior to anaesthesia. If it is a cold night, cover outside hutches or bring them inside. If you have accidentally broken any of the above rules please telephone the surgery or tell the admissions nurse. If you have anything you want to discuss before admission then either telephone the receptionist before you come down for an appointment to be made with one of the vets or speak to the admissions nurse. Rabbits and guinea pigs should be brought in a secure carrier lined with paper. Some of their normal food may be brought. Smaller mammals (hamsters, gerbils, mice, rats, etc) should be brought in their normal cage with their normal food and water in place. Be prepared that paper bedding may be required following surgery for a few days to prevent contamination of surgical wounds.